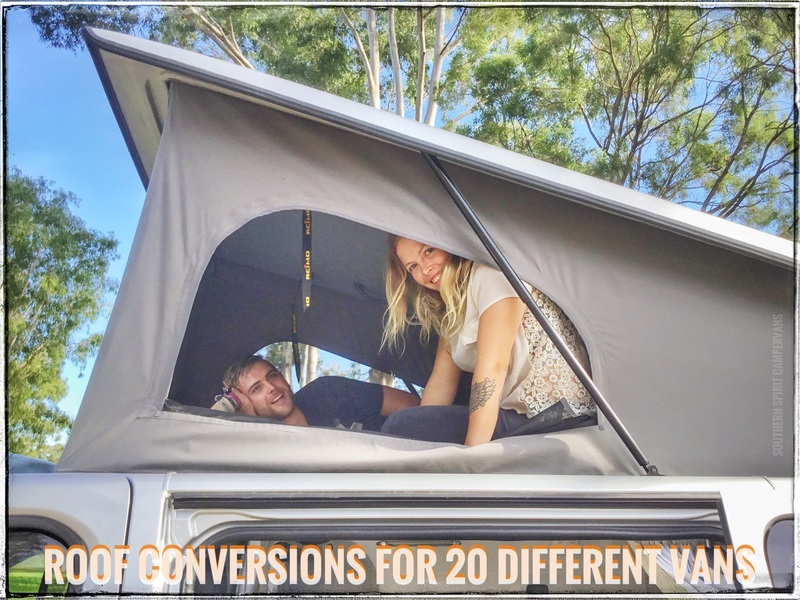 A lot of couples -after they have done for years travelling in big - drag and tow around Caravan setups- considering to down grade and making the travelling experience easier, fuzz free and combining every day use with the beauty of a fantastic mid sized campervan. 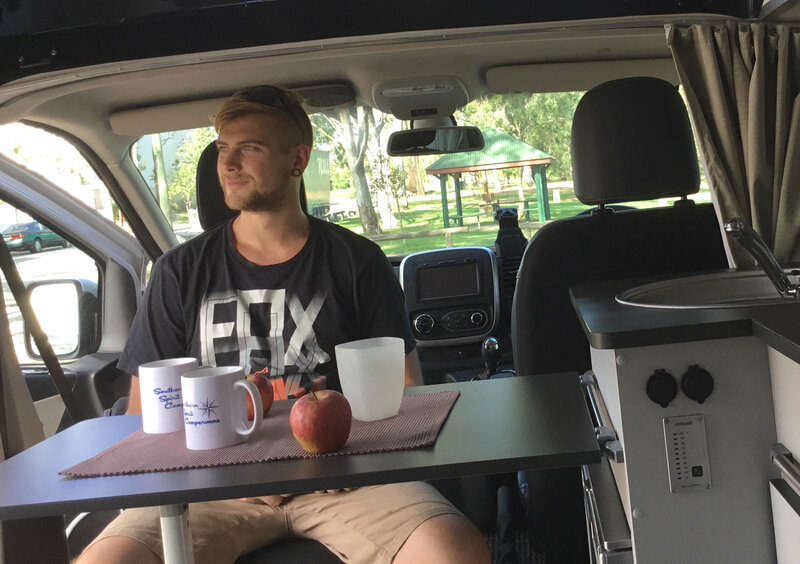 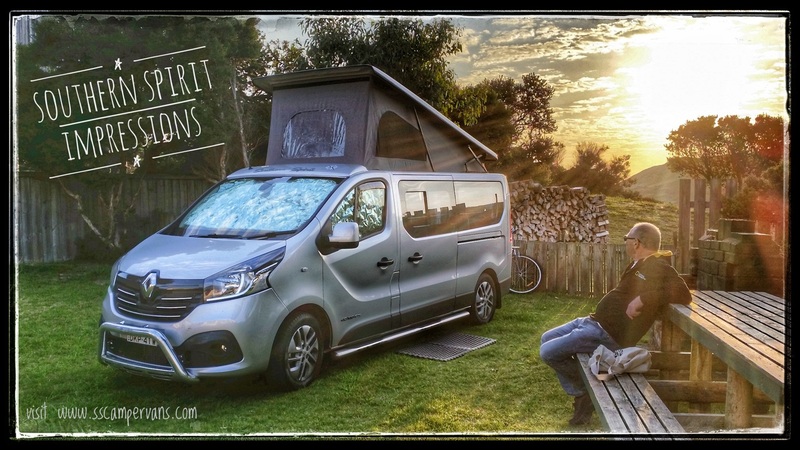 The new Renault Trafic is since 2016 available in Australia and may attract people, as offering a budget wise alternative to the Classic and most common Volkswagen Campervans. Comparing with European layouts, our customer was very focused to enjoy a most comfortable seat to bed solutions, which we accomplished by using a Reimo seat from the well known Vario range, the seats a safe and not just look good, they are also ergo shaped and a joy for every companion traveller in the rear. 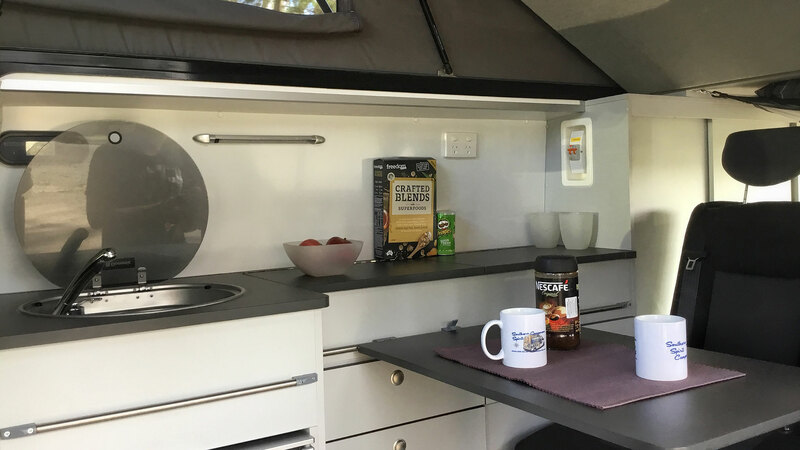 Good storage and more then just a a couple of drawers was also requested, such as a "large as possible" fridge. 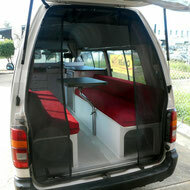 The result is a ultra modern looking van- which caters as a great travel buddy for up to 4 people. With the upper bed, even two adults can sleep upstairs!